The only way for real estate agents to stay competitive is to generate leads. 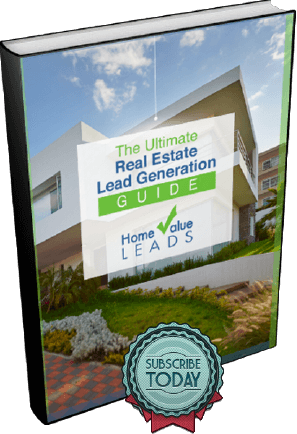 At Home Value Leads, we believe so strongly in lead generation that we spend much of our time helping real estate agents only generate leads through the HVL Facebook ads process and our website templates. We also spend time discussing other ways for real estate agents to generate leads. Last month, we spent time talking about how to use virtual staging software to separate your homes for sale from your competitors’ homes for sale. Virtual staging software is capable of cutting upfront real estate agent costs by allowing agents to stage homes on the Internet. By cutting staging costs, real estate agents can invest in other forms of marketing. Some of those other forms of marketing could be ads on Facebook, YouTube videos, or simple flier distribution. One form of marketing that costs a minimal amount of money, but plenty of effort is door knocking. Knocking on doors has always been a way for real estate agents to generate leads. With the popularity of online marketing, many agents have forgotten about this tried and true method. In this blog post, we continue our series on door knocking by discussing door knocking best practices. Like social media marketing, there are best practices for knocking on doors. Real estate agents must be aware of these best practices before they spend time and energy walking house to house and looking to generate leads. The first best practice is an obvious one. Real estate agents should never go door knocking at night. There are various reasons for this. Safety must always be at the forefront of any door knocking strategy. It’s much safer to knock on doors during the day than it is at night. Although it’s quite possible that more potential leads will answer their doors at night than during the day, it’s just not worth it to real estate agents to door knock at night. Too many bad things can happen. For example, it’s tougher for most drivers to see at night. Not a good idea to roam around a neighborhood with low visibility, right? In addition to the safety issue, nobody wants to be disturbed by a salesperson, any salesperson, at night. Night time is when people have dinner, watch television, and unwind after a difficult day. The last thing they want is for an eager real estate agent to knock on their door and tell them how much their home is worth. Here’s another no-brainer door knocking best practice. It makes no sense for real estate agents to step out of their offices or homes, get into their cars, drive to neighborhoods they know nothing about, and start knocking on doors. If that sounds ridiculous, it’s because it is ridiculous! Why would any potential lead take you seriously if after answering the door, you have absolutely no follow-up about how much their home is worth, how much homes in the neighborhood are worth, why they should consider selling at this point in time, and why they should consider working with you to sell their home at this point in time? Those are answers for serious follow-up questions that any decision maker you reach through door knocking will most definitely have. If you haven’t researched a specific neighborhood, specific houses if you can, as well as all the intangibles the neighborhood has to offer, schools, businesses, etc., to bolster your lead efforts your door knocking strategy will be dead before you’ve had a chance to knock on a single door. Sounds simple enough, right? Any time you knock on a door, have something to leave behind. If a person answers the door, you’ll want to leave something behind that reminds them who you are. Even if the person who answers the door has no decision-making power leave something behind. Always leave your information in the form of a flier or business card behind. That’s for decision makers. If you decide it’s a good idea to leave more than just your information behind, maybe something like a key chain or bottle opener, make sure you’ve got enough for both the person that answers the door and the decision maker. If you just leave only one small reminder gift behind, you have no idea if the person who answered the door will keep that reminder gift for himself or herself. That’s why it’s important to leave a gift for both the person who answers the door and the decision maker. Also, you want the person who answers the door to serve as your gate keeper. Gate keepers wield more power than many of us might believe. Reward gatekeepers and take a step closer to decision makers. Always be sincere and honest. Present facts not pipe dreams. You want to create a long-term customer because long-term customers can become excellent referral machines. A referral machine is one who name drops a real estate agent every chance they get. If you treat people the right way, sometimes you can develop a referral machine relationship without ever selling the person’s home. That’s how referrals work. Always think long-term customer. By doing so, you’ll be in the right frame of mind no matter whether a decision maker, a non-decision maker, or nobody answers the door. Door knocking is all about frame of mind. Positivity will take you a long way when you’re out there knocking on doors. You’re going to run into situations where you’re the most evil person in the world for knocking on a door and trying to help someone. They can make money from selling their home, or they can take profits from selling their home and moving into a bigger home. Most of the time, those are positive things. However, many people who answer the door won’t believe those are positive things. To combat this, you must act like the human being with emotional intelligence that you are. Always take the high road. Never get angry. Always thank the person that answers the door. Kindness and understand will tear down way more walls than being defensive. Just like real estate agent social media marketing, there are best practices for any door knocking strategy. Real estate agents must door knock during the day, only door knock in neighborhoods they’ve researched, always leave something behind, think about long-term customers, and use their emotional intelligence to react as human beings in difficult situations. By doing so, real estate agents will gain much more from their door knocking marketing efforts. That will lead to more leads and more home sales.